For a while now, the Danish SmartEnCity cluster of energy cities (Sønderborg, Ringkøbing-Skjern, Skive, Horsens, Frederikshavn, Høje Taastrup and Middelfart) has been working together in tackling climate change issues. Following their previous two meetings in Middelfart municipality, they now met for another round of discussions, learning experiences and integrated energy planning strategies in Ringkøbing-Skjern municipality. 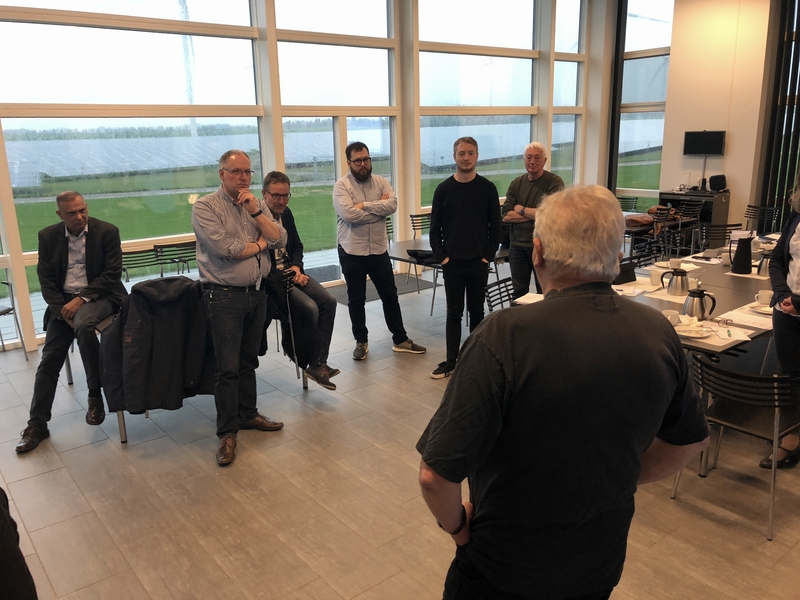 The Danish based SmartEnCity network meeting took place next to the largest land based wind turbine park in Denmark in Ringkøbing and the large solar panel plant which are both 100% locally owned. The participants were the Danish SmartEnCity cluster of energy cities Sønderborg, Ringkøbing Skjern, Skive, Frederikshavn, Horsens, Middelfart and Høje Taastrup. Read more about this meeting and find lots of pictures at our SmartEnCity Network section. Ringkøbing-Skjern municipality also shared their experiences with locally owned solar sells and the largest wind farm on land in Denmark. Read more about this on the Ringkøbing-Skjern’s SmartEnCity page.